How is the threefold City, Architecture, Art embodied and what is the role of the body in its shaping? 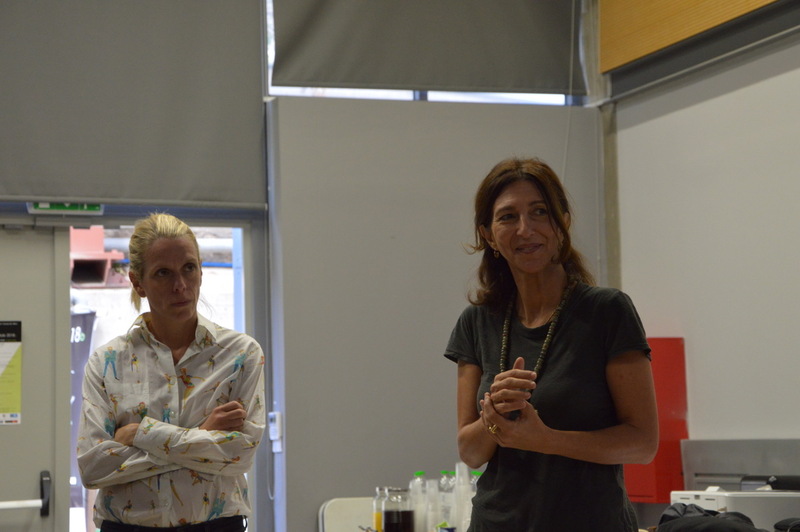 During the first week of October from 4th to 7th, the Athens Development and Destination Management Agency was present at the 6th Symposium for the City (3rd organised in the context of ROCK), Architecture & Art Citylab • 2018_b, entitled The Exquisite Body!, in the Athens Fine School of Arts, partner of the ROCK programme. 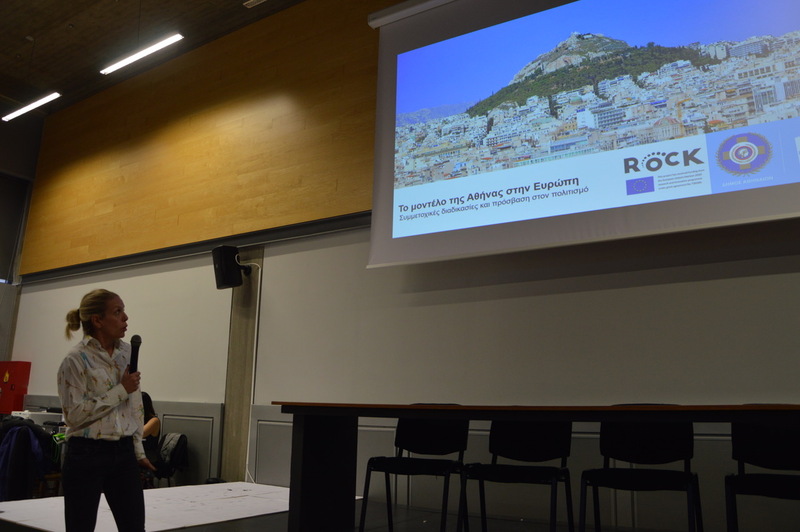 The ROCK local team together with Amalia Zepou, the Vice Mayor for Civil Society and Innovation, presented the Municipality’s role in the ROCK project and informed participant students of municipality’s driven initiatives and projects, like synAthina, Polis2 and Social Dynamo. 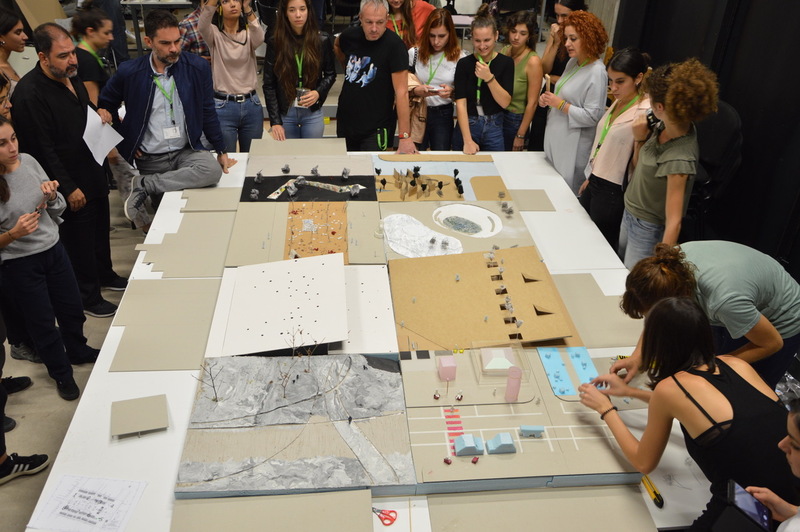 The fruitful discussion was followed by the practical session of Citylab, an initiative of dialectic knowledge production, towards the development of a multifaceted and interdisciplinary communication and collectivity tool in relation to architecture and art. Through intensive workshops and small-scale conferences about urban exploration, redevelopment and regeneration, Citylabs intend to vitalize, systematize and enrich the current dialogue around the dynamic phenomena of urban growth. The Exquisite Body! aspired to explore the multiple manifestations of physicality and delve into potential ways of reconsidering the space -physical or digital- inspired by the city of Athens. The participants of the symposium had the opportunity to attend a multifaceted programme with talks, performances, and interactive events presented by 37 distinguished artists, architects, curators and researchers Interestingly enough, The Exquisite Body! initiated a parallel -to its main focus- dialogue around Athens, as a city in cultural transition that has multiple narratives to reveal and revisit. 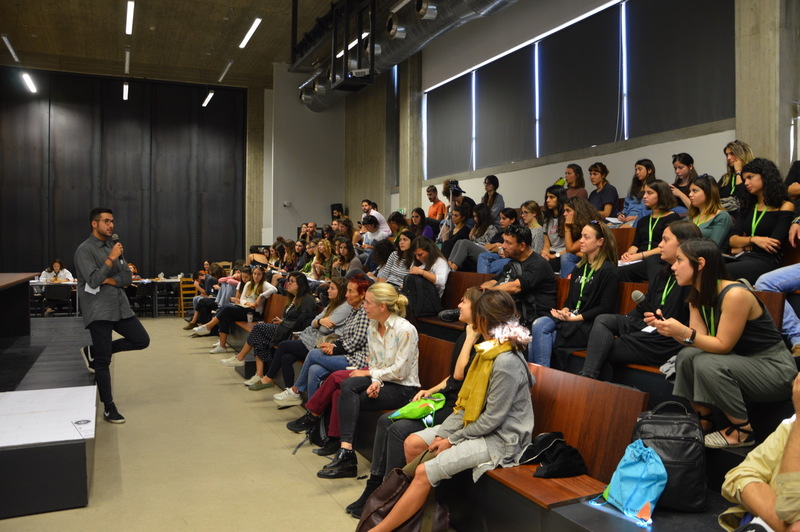 Athens as a ROCK Role Model city served as a fertile ground and source of inspiration for this discourse and active exchange between students, artists and practitioners.